The perfect solitaire setting for gems from oval, cushion, octagonal cut and good caliber weight. 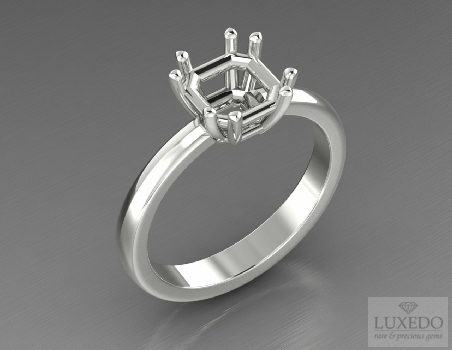 The twin prongs embrace the center stone and create an elegant and refined outline. This setting is suitable for good size stones.